Did you know that over half of our English words come from Latin? Latin words are abundant in our English language and studying Latin can be a very effective way to learn English grammar! Memoria Press offers a wonderful introduction to a classical Christian education with a program that is designed for students in the 1st through 4th grade who are fluent readers. 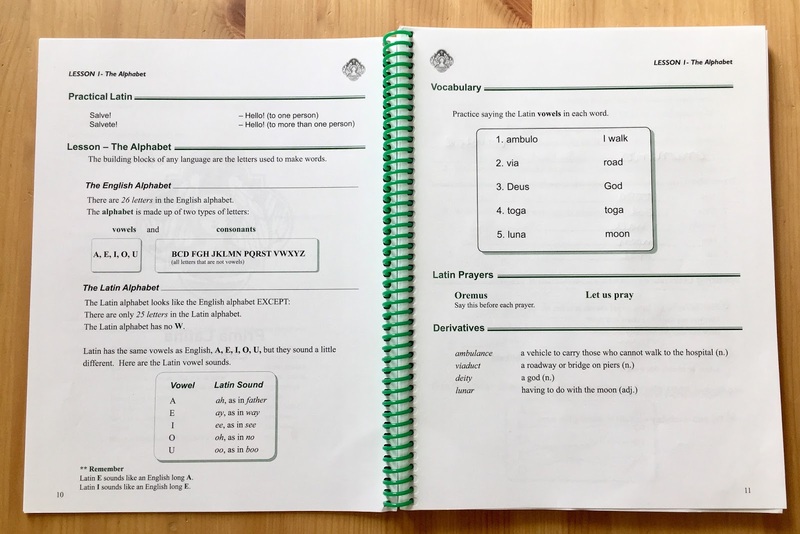 We received the Prima Latina Complete Set which covers the basic parts of speech of English grammar while introducing Latin vocabulary and grammar in a very easy and gentle way. 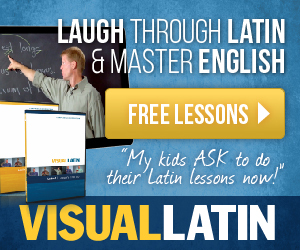 If you have ever been intimidated by teaching Latin (raises hand! ), then this program is for you! In each 15-20 minute lesson, your student will learn how to pronounce, spell, and translate 5 vocabulary words and learn relative derivatives, a practical Latin phrase, and one line of a prayer. So, over the course of 25 lessons, that's a total of 125 vocabulary words, plus their derivatives, 4 full Latin prayers, including The Sanctus, The Doxology, The Table Blessing, and The Pater Noster (The Lord's Prayer), and much more including all the parts of speech and a gentle introduction to declensions (noun endings) and conjugations (verb endings). Of course, your student will also learn pronunciation rules and all the vowel and consonant sounds of the Latin alphabet, as well as diphthongs and digraphs, which are combinations of vowels and consonants. This is a primer course - a preparatory course to prepare your students for Latina Christiana, but you can jump in with Latina Christiana if your students are in grades 3-6, or after completing Prima Latina. 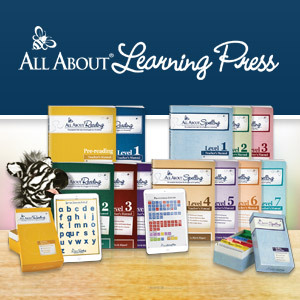 Each lesson offers review of previous concepts, and the CD offers daily review for each lesson. To make it even easier, I uploaded the CD to iTunes and synced it to my iPhone. This allowed us to review anywhere - in the house, on the go, and in the car. To share, I'll walk you through our first lesson. Here, I have everything ready to go for Lesson 1. I open my computer, pop the DVD in the DVD player, and press play. Afterwards, she did the exercises in the student book. When presented the idea of learning a foreign language, she was a little apprehensive at first. Isn't learning a new language hard? Indeed! In fact, I've heard Latin is the hardest language to learn, and when I see classical homeschoolers talk about declensions and conjugations, it sure sounds hard. Latin may be the hardest language to learn, but Memoria Press is boosting our confidence with Prima Latina! We have been doing one chapter a week. On Monday, we do the video lesson and the workbook lesson. Then we use the CD to review every day that week. 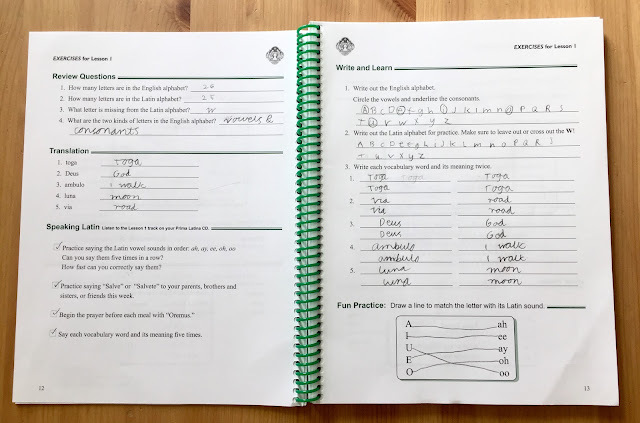 The workbook lessons don't have to be completed until the end of the week, but she is a 4th grader, so she is on the upper end of the grade range for this primer, and the lessons are easy for her. While it was easy, and we were tempted to do more than one lesson a week, I thought it would be better to review throughout the week as intended and let the lessons really sink in. Plus, I wanted this to be easy so we would be sure to do it! It has been working out really well for us and one lesson per week has been a wonderful, easy pace! 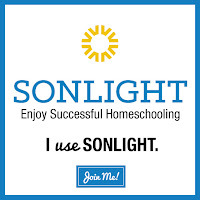 While I used this with Eliana, I had two other children, Bo and Malachi, who are 6 and 12 years old, watching the video lessons and reciting with us. I picked my 4th grader to write in the book because I knew it would be too much writing for my 6 year old who is just going into 1st grade. He likes the lessons and understands the material being taught but is not ready for that much writing, so I have been doing the student lessons orally with him. I suspect he will want his own workbook by the age of 7, which is when my boys typically start writing for themselves. Both the older kids could easily move into Latina Christiana, but I like the pace and ease with which we have been working, and I like that we are working at Bo's level so that he can easily sit in with us. So far, we have completed 5 lessons, a review lesson, and a test. When we got to the test, I transcribed as Bo narrated all the answers to me. He only missed 3 out of 25 questions on the first test covering lessons 1 through 5, so he is retaining much of the information. Malachi and Eliana easily aced the test with a perfect score (doing their own writing, of course!). (The tests are in the back of the Teacher's Manual). Each review lesson includes a song. Our first song was "Dona Nobis Pacem" which translates "Give us peace." Eliana was asked to write the Latin words once and translate, but the translation was not given anywhere that I could find, so I googled it. The song itself is just the title of the song repeated. It's a pretty and peaceful song. Prima Latina is truly an open and go program that is super easy to use! Leigh Lowe is our Latin teacher, and she does ALL the teaching! We simply pop in the DVD and watch the lesson on Monday, do the workbook exercises either that day or throughout the week, and review using the CD each day. 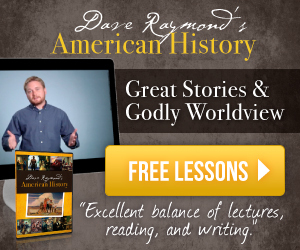 The lessons take 15-20 minutes and the review each day takes less than 2 minutes. Easy! Leigh Lowe teaches with a nice balance of recitation and review and offers vocabulary practice while you are watching. She includes on-screen notes, diagrams, and examples. You also get to see your teacher while you watch, and hear the proper pronunciation, inflection, and tone. Every now and then, she would pronounce a vowel sound different than what we learned, and it was confusing to me, but I soon realized that Latin has "rule breakers" just like English does. For example, we were taught that the Latin s says s, as in soap, but she pronounced the s in Jesus with a "z" sound. I noticed several other words that didn't follow the rules, but know now that there are variations because Latin is not a spoken language today. The kids are applying what they know to every day life, such as saying Oremus (Let us pray) at the dinner table or Salve! (Hello!) when my husband comes home from work. We can all now say The Sanctus, which is a prayer that gives glory to God. Prima Latina is such a wonderful program to get started with for any age, if you desire a truly easy, open and go program to get started. Latin does not have to be intimidating, and with Prima Latina it is most certainly not. It has been a wonderful way to introduce Latin to my three youngest, and I'm excited to add it to our morning together time this fall! 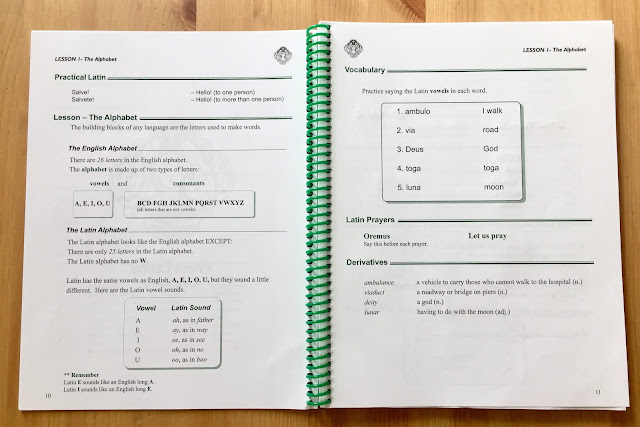 We reviewed Prima Latina, but Memoria Press offers Latin Curriculum from Early Elementary to High School! Click the graphic above to read more reviews! Thank you for the review. I was looking at this already, I would be wanting the next level though. You sure made it sound easy! I was also looking at Visual Latin. Do you know anything about that one? It's on Cathy Duffy's list, as was this one. Michele, Latina Christiana didn't look as easy at first - I went back and forth on which level to choose, but put Prima Latina as my first choice knowing it would be easy.